The crescent moon is a symbol used to represent the lunar phase in the first quarter (the “sickle moon”), or by extension a symbol representing the moon itself. It has also been used as the alchemical symbol for silver; the emblem of the Roman goddess Diana; and for Roman Catholics it is associated with the Virgin Mary. Also, many like to use the symbol for New Orleans, The Crescent City. 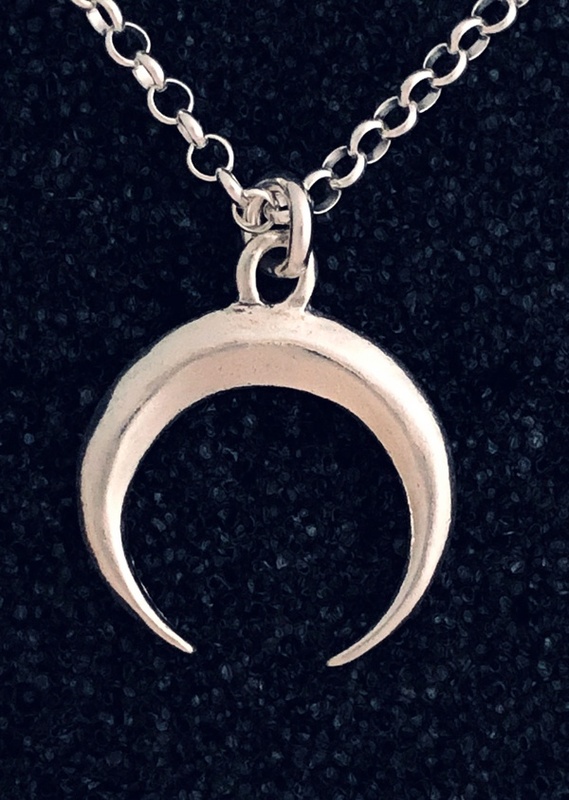 Whichever meaning you wish to ascribed to it, this sterling silver crescent moon is about 5/8″ diameter, and comes with an 18″ sterling silver chain, plus a 2″ extender.